June babies, Honora's versatility makes sure that your birthstone is always in style. 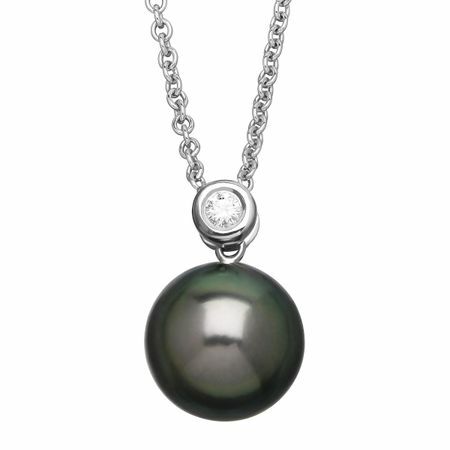 A beautiful Tahitian cultured pearl hangs below a single bezel-set diamond accent for a simply exquisite look. Piece measures 5/8 by 3/8 inches. Comes with a sterling silver 18-inch cable chain.